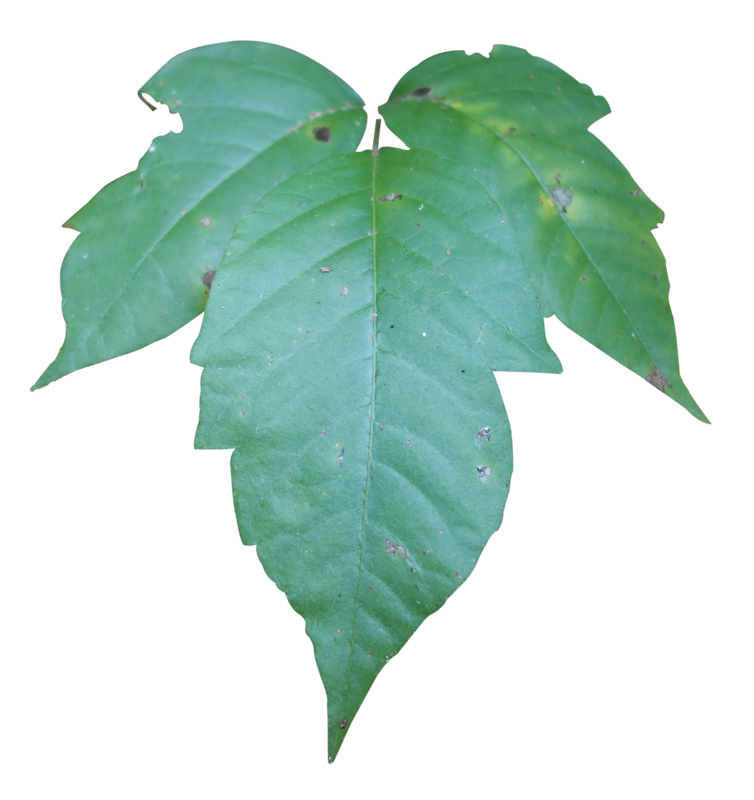 Poison Ivy has a three-part, alternate, compound, deciduous leaf that may turn brilliant red in fall; vine has dark gray bark covered with “hairy” roots. Found in dry to moist areas, woodlands and streambeds. ALL parts (leaves, stems, and greenish-white berries) are very toxic to humans, causing severe allergic reactions in some people. Pollen source for bees and other pollinators; foliage and fruit are food source for some mammals and berry-eating birds.